This 34mm. 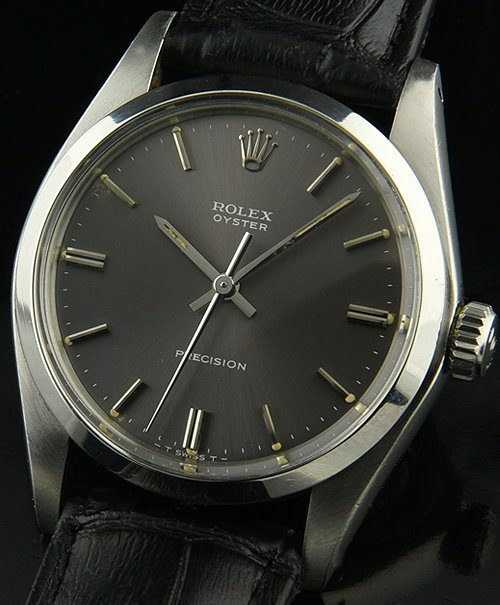 ROLEX OYSTER has a fabulous looking and uncommon slate gray original dial with original baton hands and steel markers. All the original lume plots are present and match the lume on the hands with a great vanilla patina. The steel ROLEX OYSTER case gleams. 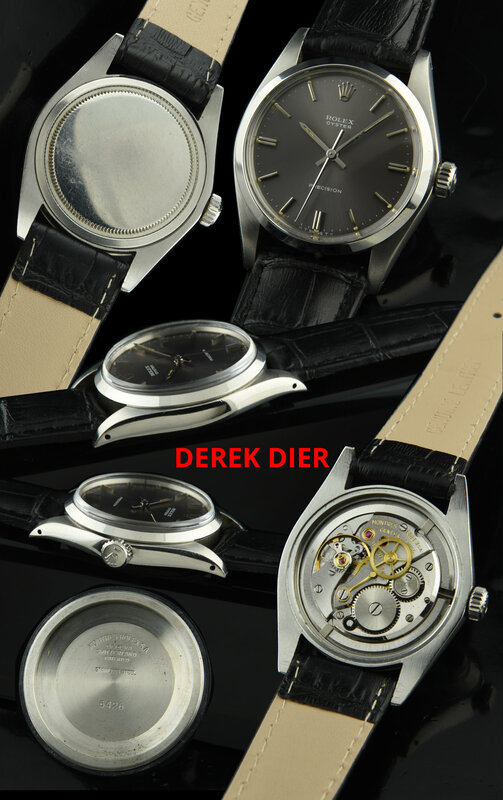 This manual winding ROLEX movement is a real workhorse and should last a lifetime and more. I really love the manual winding Precision ROLEX, as they sit slimly upon the wrist and have fewer moving parts than the automatics. You will love this watch!